There was no set organization for the artillery, but for major field actions the New Model usually had a strong artillery train. 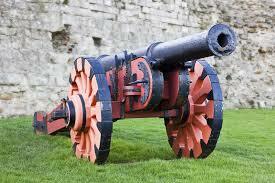 Initially of 56 pieces of various calibres, the artillery doubtless grew in size as captured equipment was absorbed. Two companies of what were termed 'firelocks' accompanied the artillery. These were infantry armed with flintlock muskets, whose role was the protection of the gunners, the artillery train, the powder store and the wagon park generally. The issue of the latest type of hand-held firearm to these troops was essentially a safety measure. Their duty required them to be in constant proximity to the artillery train where, more than anywhere else in the army, there tended to be loose powder exposed in open barrels, or split in the heat of an action. The presence of musketeers with ever-burning slow matches would have been unacceptably hazardous; the chronicles of the Civil Wars offer us many examples of tragic accidents of this type. Major Desborough was the officer in command of the 'firelocks' at the formation of the New Model, and his men seem to have numbered around 120 or 130. A company of pioneers was attached to the main artillery train; these worthies seem to have enjoyed semi-civilian status-certainly no uniform details are recorded. Their function seems to have been to assist in the passage of the artillery train along what passed for roads in 17th century England. The 17th century English army had a surprisingly large and organized staff. 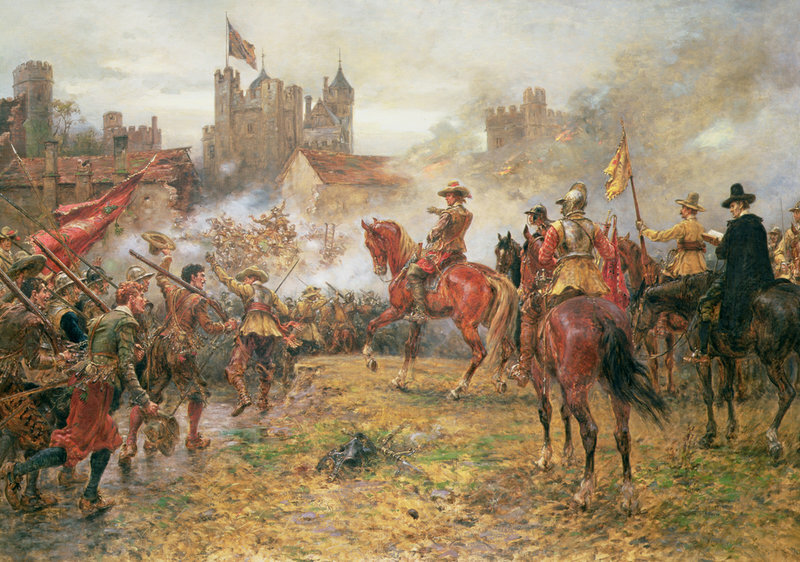 Serving directly under the commander-in-chief (in the New Model in 1645, Sir Thomas Fairfax, the Lord General of Parliament's forces) was the Lieutenant-General of the Horse-a post initially filled in the New Model by Oliver Cromwell (1599-1658). This officer ranked as second-in-command of the entire army and commander of all the cavalry of that army. Below him was the Commissary-General of the Horse, the second-in-command of the cavalry. Below the Commissary-General were two Adjutant- Generals of Horse; a Quarter-Master General of Horse; and a Muster-Master-General of Horse (this officer, at the outset one William Stone, had two deputies, and was responsible to the Treasury for the army rolls). The cavalry staff was completed by a Markmaster-General of Horse and a Commissary-General of Provisions. The Sergeant-Major-General of the ·Foot had command of all the infantry in the army, and was the third-ranking officer in the overall hierarchy. To assist him he had a Quarter-Master-General of Foot and an Adjutant-General of Foot. The fourth-ranking officer in the army was the Lieutenant-General of the Ordnance, who controlled the artillery and engineers. Attached to the headquarters establishment was a Judge Advocate, with two Provost-Marshal-Generals, one of foot and the other of horse. A Commissary General of Victuals was responsible for the difficult task of keeping the army fed while on campaign.